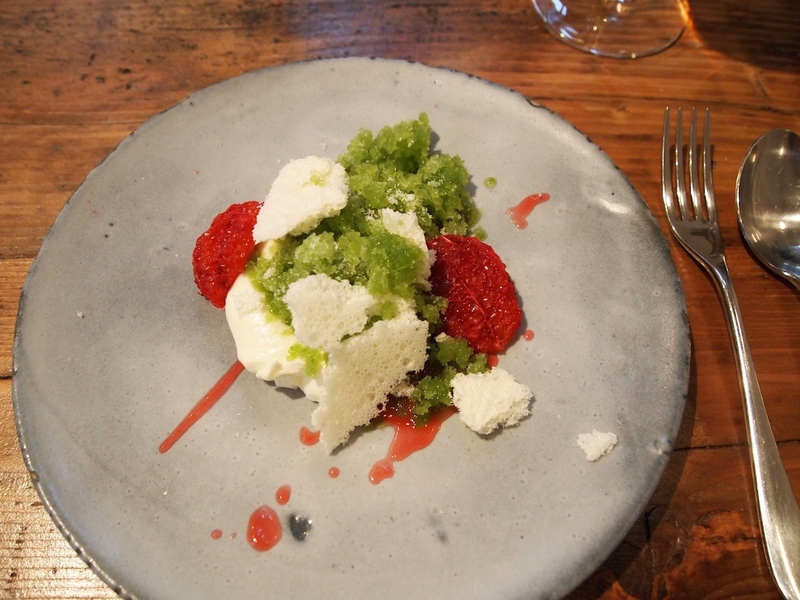 In the last century the food that London's East End was mainly known for, was pie and mash and jellied eels, but it has transformed rapidly into one of the trendiest parts of culinary London. 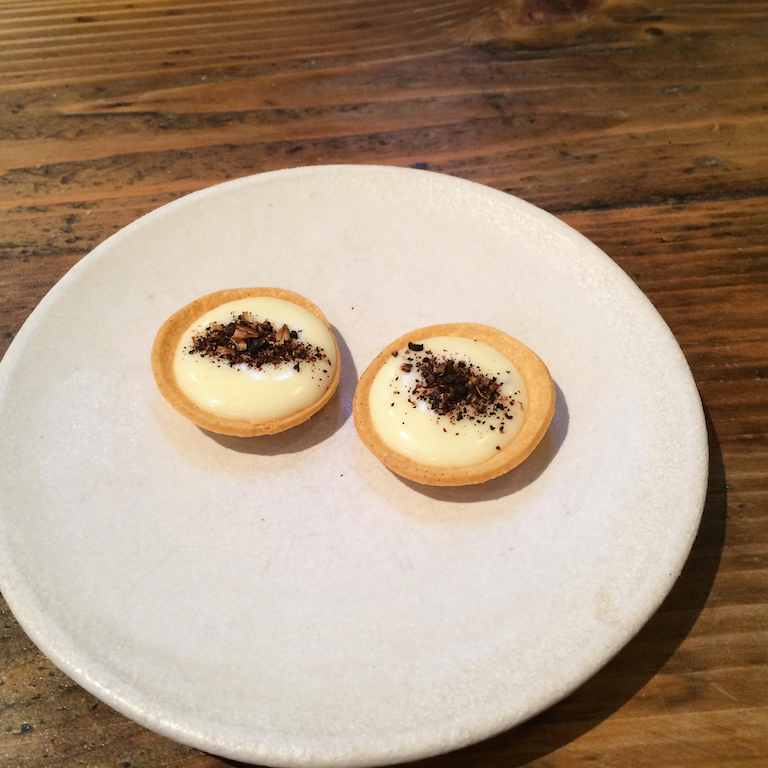 The East End, and Shoreditch in particular, has become the location of choice for London's new generation of chefs. In Shoreditch, in the space of a mile-and-a-half square, you will find the restaurants of all the cool kids on the block, such as The Clove Club, Lyle's and The Typing Room. 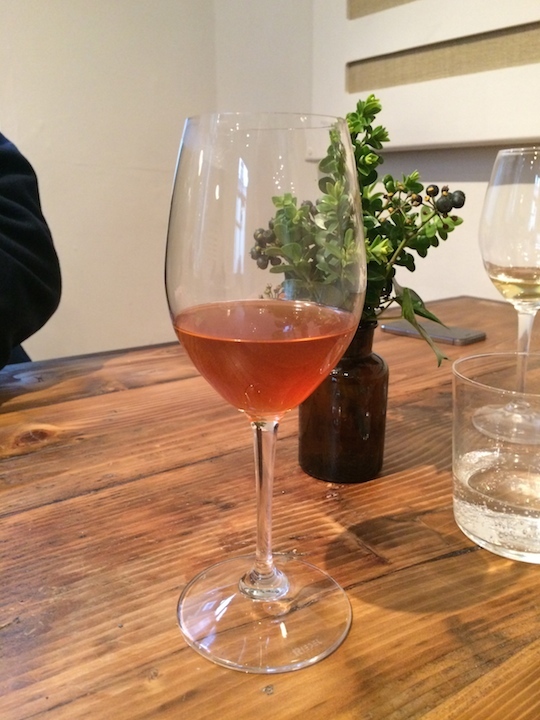 The Clove Club is a restaurant and bar opened two years ago by Isaac McHale, Daniel Willis and Johnny Smith. Behind the stoves of this (partly crowdfunded) restaurant are Isaac McHale and his sous-chef Tim Spedding. Scottisch-born McHale previously worked at Tom Aikens (then 1 Michelin star) and for 6 years at The Ledbury, but he's also well-known as co-founder of the The Young Turks chef collective/movement, other members being James Lowe (now head chef at Lyle's), and Ben Greeno (just appointed as head chef at the Paddington Arms in Sydney and formerly head chef at Momofuku Seiobo). Before starting their solo projects, James Lowe and Iscaac McHale worked together at the the still running pop-up Upstairs at the Ten Bells in Spitalfields. 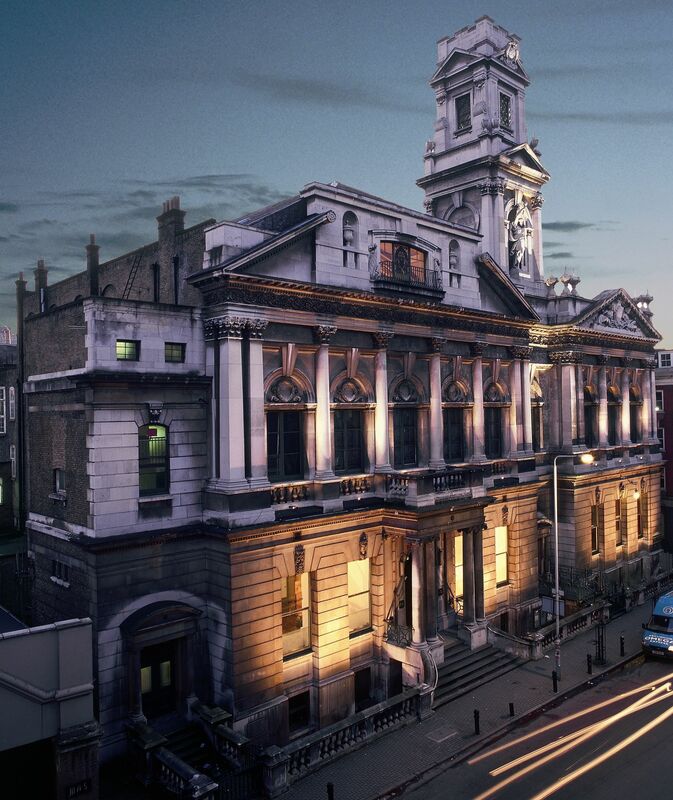 In the year after the opening, The Clove Club was already awarded a Michelin star in the 2015 guide for Great Britain & Ireland and the restaurant is currently at number 87 in San Pellegrino's World's 50 Best Restaurants list. The Clove Club is open for lunch Tuesday through Saturday and for dinner Monday through Saturday. At lunch you can choose between a 3-course menu (£35), a 5-course menu (£55) or a multi-course Carte Blanche menu (£95). At dinner the restaurant serves a 5-course menu (£55) or a 9-course menu (£95). 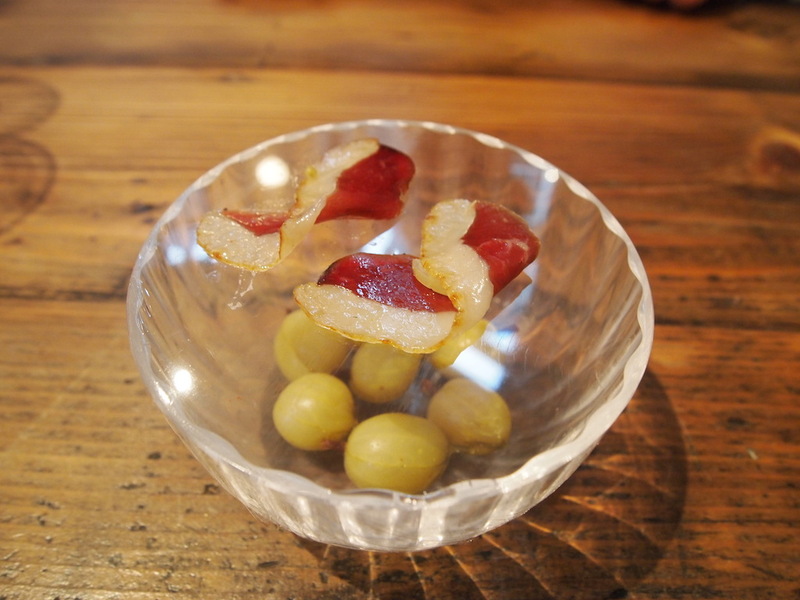 The bar has a separate menu with small plates, snacks and salumi. I had lunch with my husband at The Clove Club on Thursday 12 February 2015 and we both ordered the 5-course menu, and an extra course that was on offer on the day. *I was recognised. Lunch started with a selection of snacks. First to arrive were crispy chicken feet sprinkled with deviled spices, and served with a foamy chicken fat and tarragon emulsion for dipping. 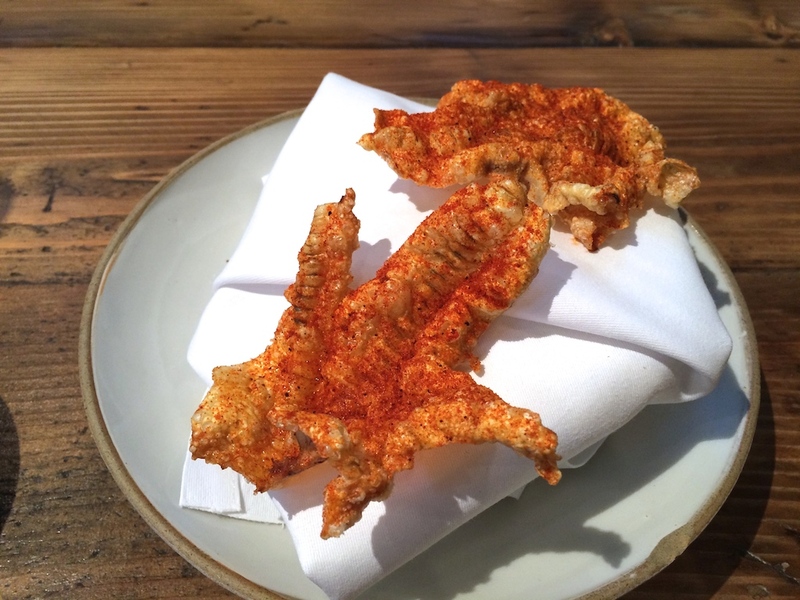 The chicken feet are cooked for 8 hours, then deboned and dehydrated, and finally crisped up, resulting in a crackling-like texture. 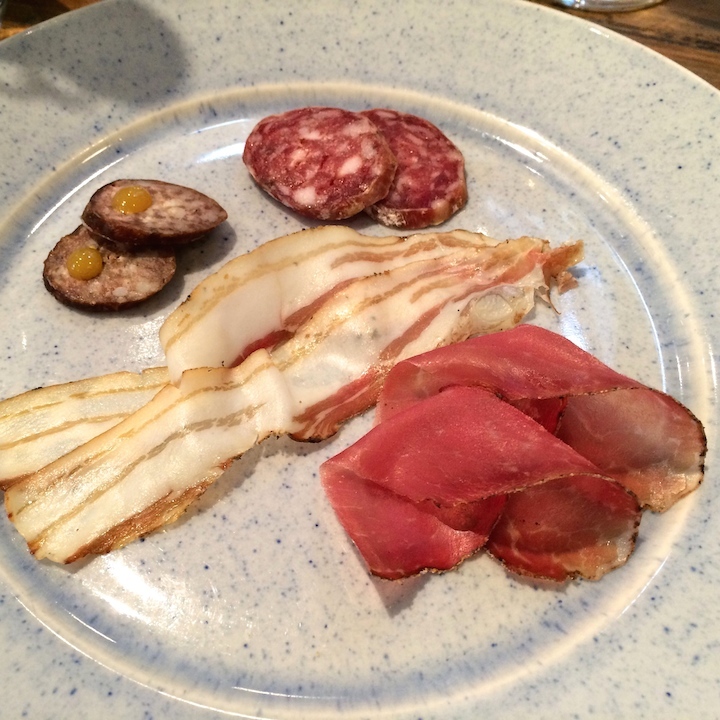 Next we were served some of the The Clove Club's homemade salumi, including some Culatello, hot smoked sausage, semi-dried sausage and lardo, all from the Mangalitza pig, followed by some goose ham (of last Christmas) with gooseberries. An excellent start of this lunch: the chicken feet were nice and crunchy and the rich emulsion had a wonderful creamy mouthfeel, and the tarragon flavours came through nicely. Terrific salumi too. Shortly after, some more snacks arrived. 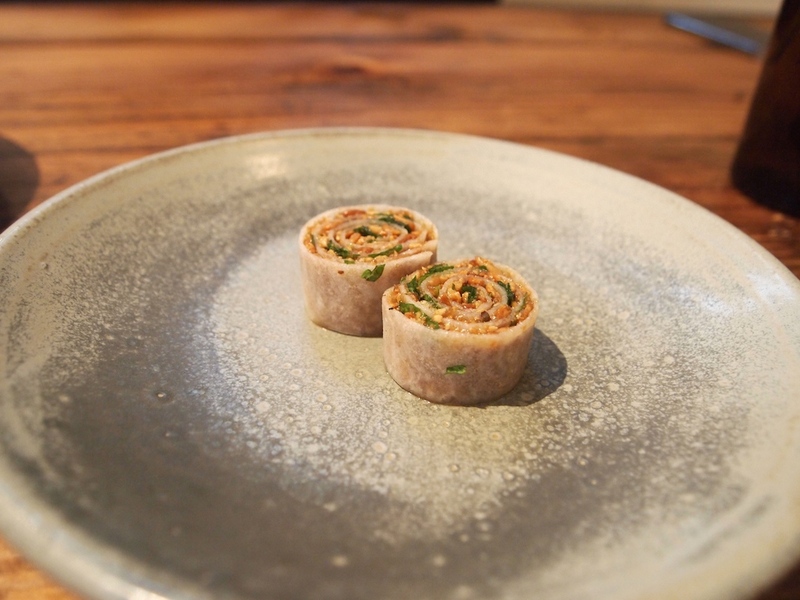 There were turnip rolls filled with finely chopped, toasted and oily sunflower seeds and mint, and some fresh radishes complemented by a delicious gochujang mayonnaise and a crunchy mixture of black sesame, sugar and salt. Gochujang is a Korean condiment of fermented soy beans, red chillies and rice powder, and it worked a treat with the radishes. 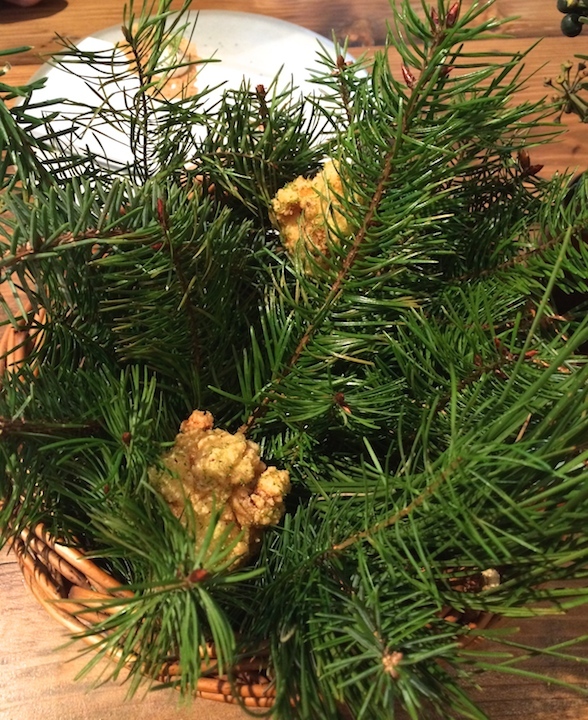 The next two were oak-smoked cod roe, seasoned with piment d'espelette and fresh dill, served on a rye cracker, and The Clove Club's signature buttermilk fried chicken with pine salt, served on some pine twigs. Beautiful fried chicken; first you get the crunchiness of the thin batter, followed by insanely moist chicken. 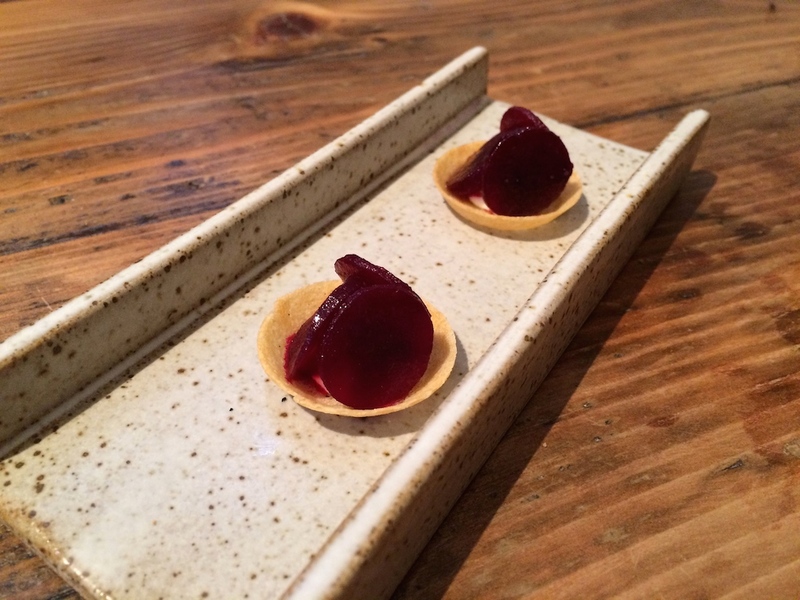 The final two snacks were goat's curd and marinated beetroot tartelettes and wood pigeon sausage served with greengage ketchup. 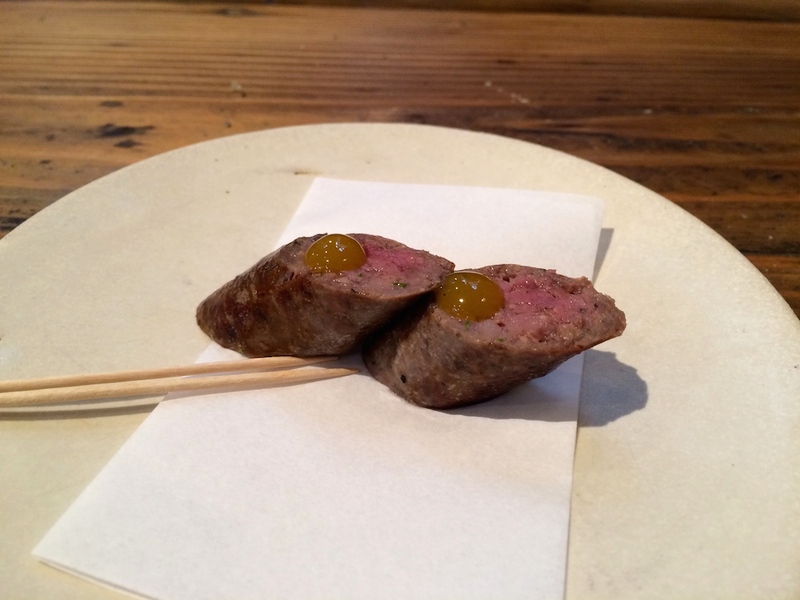 The sausage was very moist and had a lovely, livery flavour. This was an original selection of attractively presented snacks with a wonderful variety of textures and innovative flavour combinations. 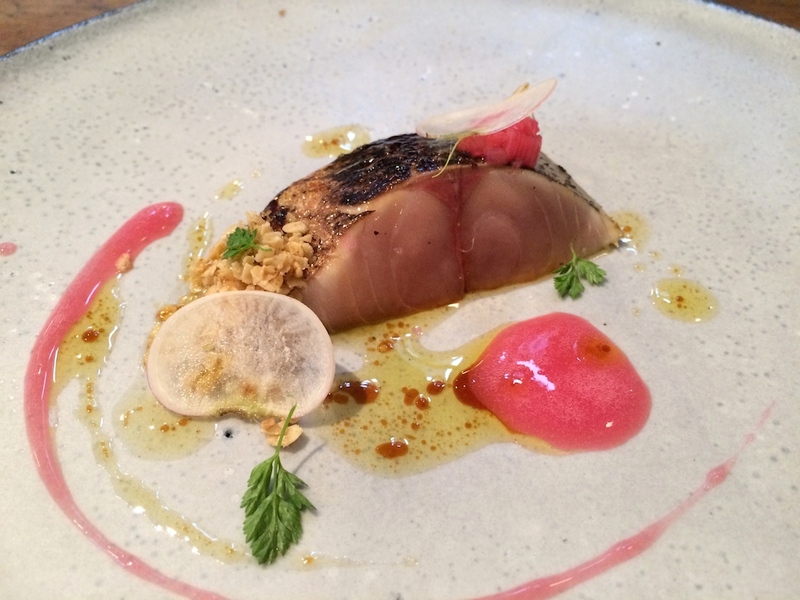 The first course of the tasting menu was line-caught flamed Cornish mackerel, rhubarb, turnip and toasted oats. First the mackerel is lightly marinated/soused in sweet and sour brine, then the mackerel's thin, shiny silver skin is carefully removed, revealing an (let's call it) inner skin, which is then blowtorched. All this results in beautifully tender mackerel flesh with lovely caramel flavours and fattiness from the charred skin. On top of the mackerel was some finely chopped tangy rhubarb and there also was a bright, pink rhubarb emulsion, the rhubarb's sourness being a nice contrast to the oily mackerel. 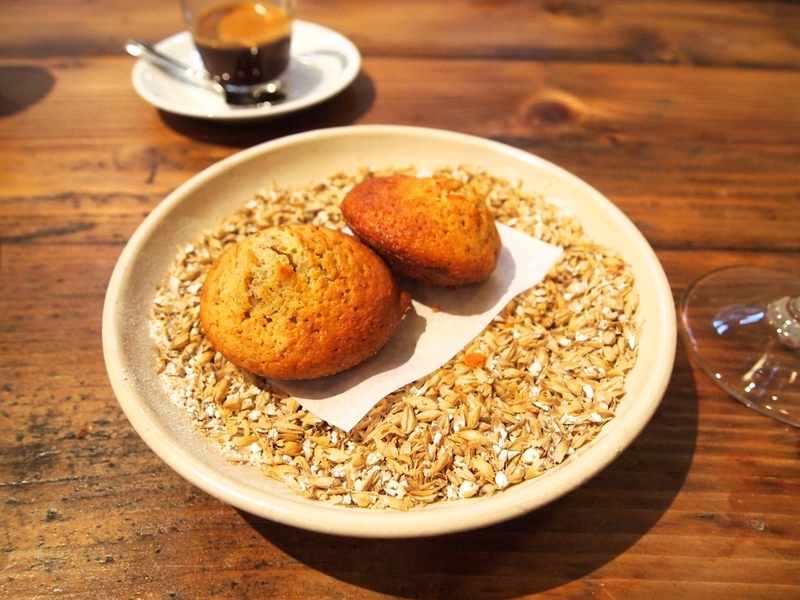 Altogether a very elegant dish and an original, modern take on the old-fashioned mackerel and oat pairing, the oats delivering lovely toasty flavours and extra texture. The extra course followed: Scallops and Périgord truffle. Let me start with a confession. I prefer the black Périgord truffle to the white Alba truffle. There, I have said it. There's nothing like the intoxicating aroma of white Alba truffles, but for me this is where the magic ends. When it comes to flavour (aroma and taste), the intensity and complexity of the black P´rigord truffle is hard to beat and The Clove Club served it in all its natural beauty. Sliced raw scallops, covered with roughly ground, toasted hazelnuts and clementine zest, were placed on a layer of concentrated black truffle puree/sauce, and topped with miso jelly, matchsticks of Perigord truffle and thinly sliced white mushrooms. An exquisite dish with wonderful ingredients, which all tasted great on their own (the intense and pure truffle sauce in particular), but when combined they delivered an extraordinary flavour experience. 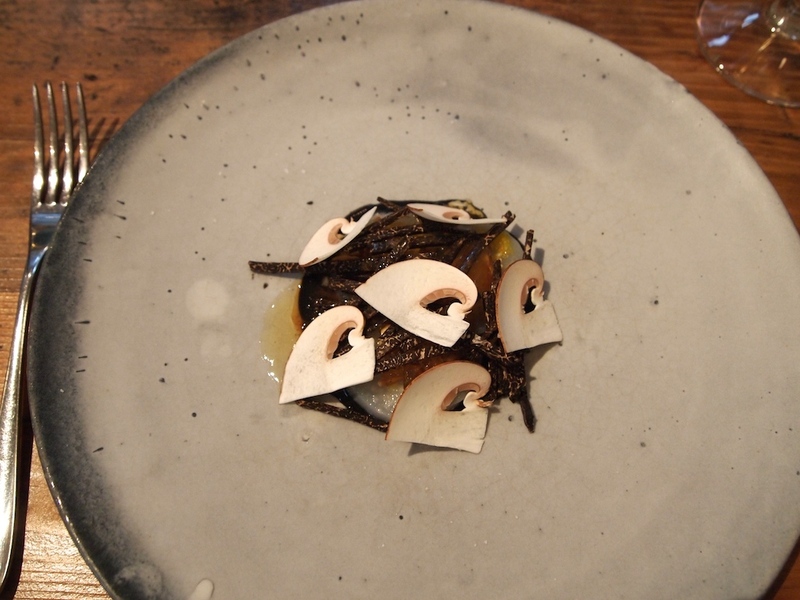 Great textural contrast too; there's the delicate creaminess of the scallop, the toastiness and crunch of the hazelnuts, the smoothness of the miso jelly, and finally you get the bite of the truffle matchsticks. 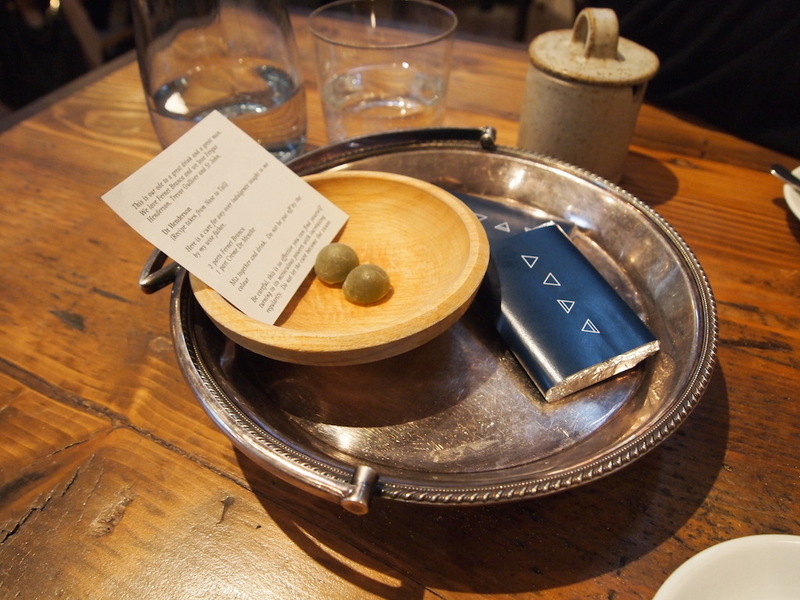 To complement these marvellous flavours, we were served a glass of 2013 vintage sake. 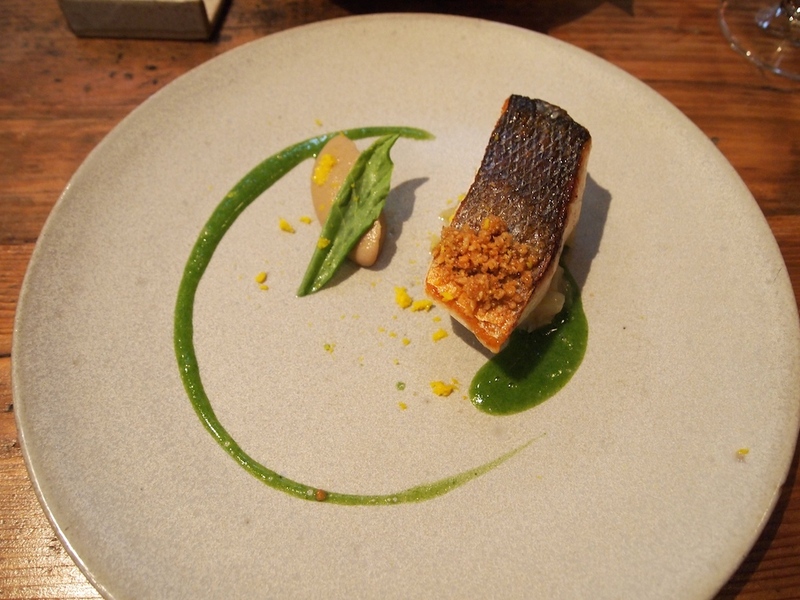 Then there was an elegant dish of moist sea bass successfully paired with two varieties of Jerusalem artichoke, one served as a smooth and creamy puree, the other served crushed, and combined with a lovely tart apple and sorrel sauce and some freshly grated Kobusu citrus zest. On top of the sea bass was some deliciously toasty crumble. A well-executed dish with a wonderful combination of flavours, the apple and sorrel sauce bringing a lovely freshness to this dish. Next up was a delicious Montgomery cheddar tartelette sprinkled with crystal malt salt, followed by fantastic duck consommé flavoured with morel mushrooms and ginger and served in a glass "seasoned" with a 1908 Bual Reserva Madeira from Pereira d'Oliveira (bottled 2008). Wonderfully flavoursome and elegant duck consommé with a lovely hint of ginger and the Bual added a nice touch of nuttiness. Lunch continued with loin, saddle, heart and ballotine of French rabbit, all superbly cooked and served with a silky sauce/emulsion elegantly spiked with South Indian spices. 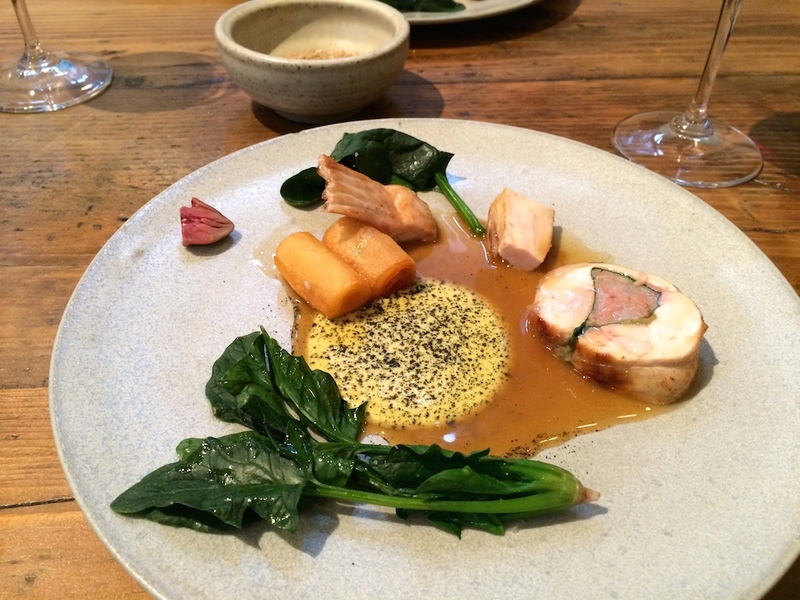 Also on the plate were some crisp potato cylinders, a divine rabbit jus and spinach. Finally there was some Indian spiced salt to sprinkle over the rabbit ballotine. 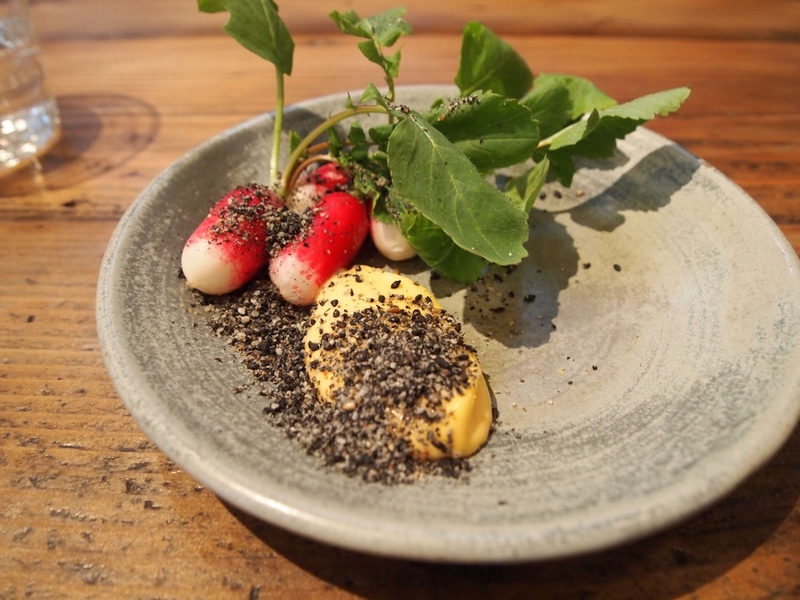 An impressive dish with superb flavours and textures, and with faultless seasoning. The intensity of the Indian spices was wonderful and not too dominant; the rabbit was more than capable of handling the spices. Shortly after the first of two desserts arrived: sarawak pepper ice cream and Amalfi lemonade foam with some zest "butter" hidden underneath. A delightful dessert with a nice long aftertaste and a lovely balance between fruitiness, sharpness and sweetness. 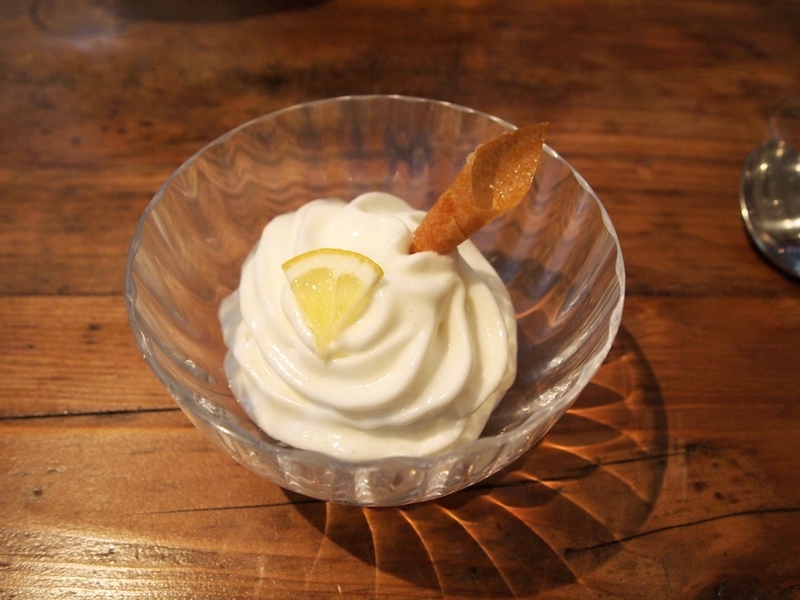 Second dessert was warm and juicy blood orange with a refreshing and herby fennel granita, ewe's milk yoghurt mousse and milk crisps. A sensational dessert with a pleasant sweetness, the fennel brightening the sweet-tart flavours of the blood orange wonderfully. Last to arrive was a really lovely selection of sweets, which all had a nice savoury touch. 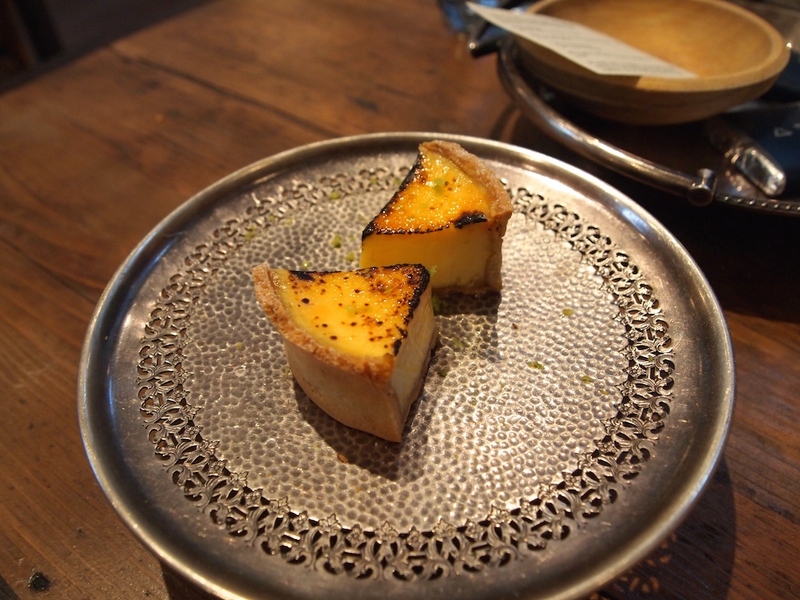 Lightly charred custard cake with fresh kaffir lime zest. Bonbon with a liquid Fernet-Branca and Créme de Menthe filling, and homemade chocolate ganache bars. Charlie Chaplin cocktails to take home. What makes a great meal great? Heston Blumenthal once said: "In life we occasionally have what we call perfect food moments: a combination of taste, place and flavour, we never forget". It can happen anywhere, from the joy of fish and chips by the seaside to the comprehensive perfection of the utlimate three star experience. 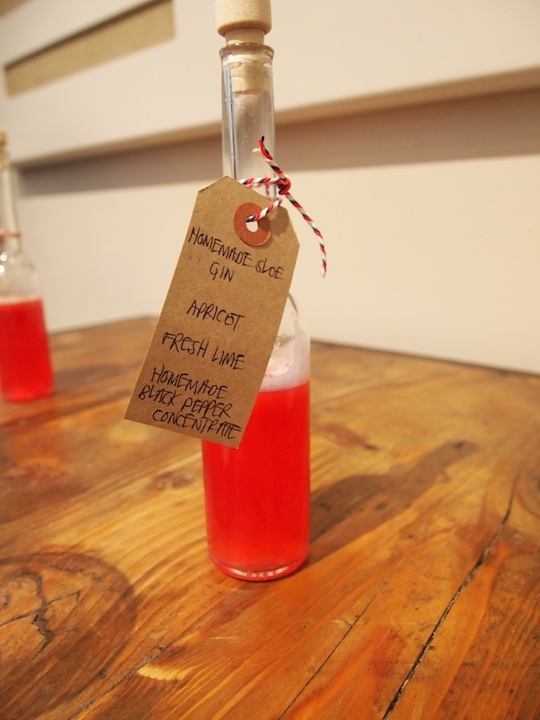 At The Clove Club, I am glad to say, I experienced one of these serendipitous events. Everything came together, the Gods smiled, it was a wonderful afternoon. But it begins and ends with the food, of course. At The Clove Club, the focused menu displays a real sense of authenticity and the chefs feel comfortable using a broad range of ingredients (from Britain to Bollywood) in their unique and sometimes very inventive dishes. 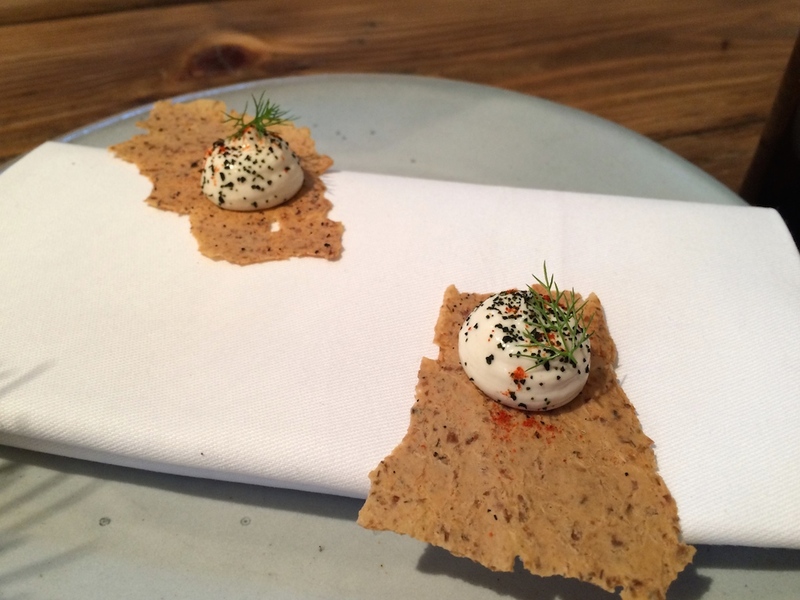 It is no surprise that The Clove Club already has a dedicated following, and I am inclined to say that if there is any place where you can sample "Modern British Food 2.0. ", it is here.